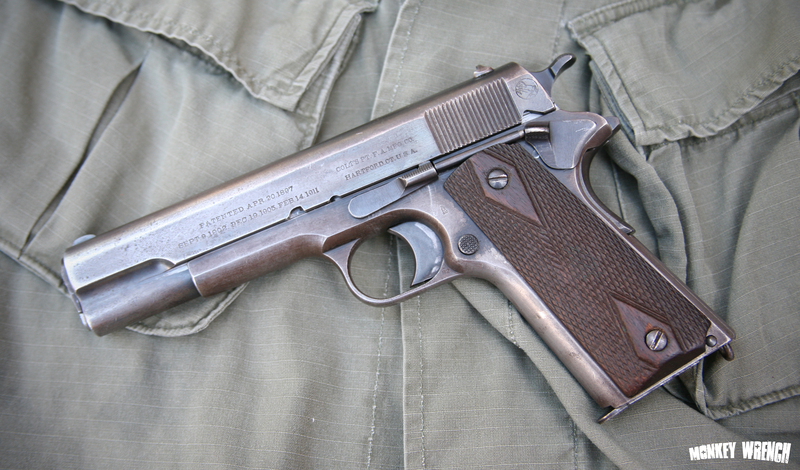 The gun’s serial number tells us that it was built by Colt in 1918, part of a batch made for the US Navy. It appears to be in original condition, and as one can expect from a firearm this old, the finish is quite worn. The barrel has a surprising amount of rifling left. If this gun could tell its story….